This sow has just had her first litter of piglets. She's very attentive and careful about where she lays down. 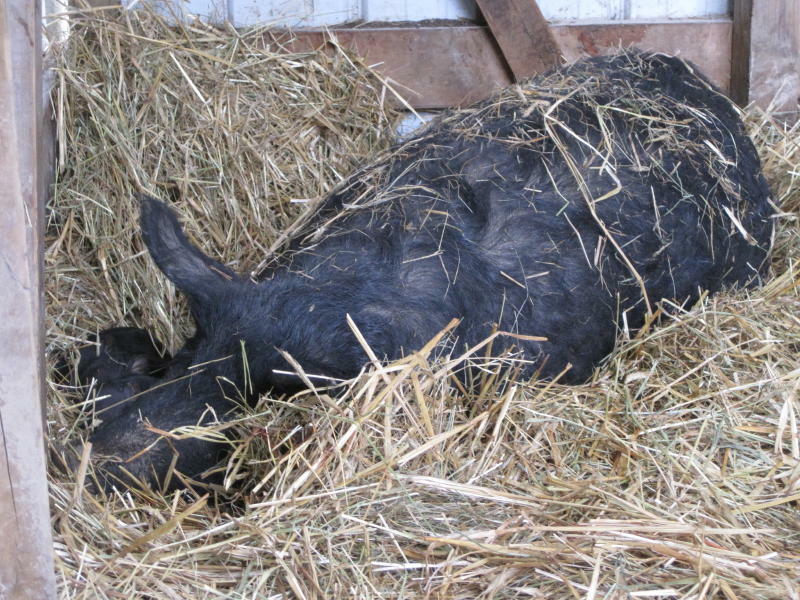 One of the biggest dangers to new piglets comes from their mothers accidently laying on them. She has started to relax a little now, but shortly after they were all born the slightest squeal would have her worried that she was pinching one of them. 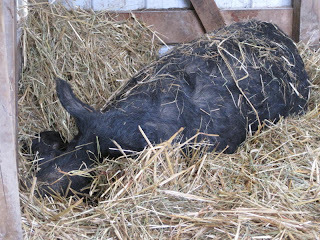 Usually it was caused by one piglet standing on another one in an uncomfortable sort of way. Everyone seems to have settled in to the routines of eating and sleeping now--a busy life for a new litter.